My favorite video game of all time is Skies of Arcadia, a Japanese RPG released for the ill-fated Sega Dreamcast in 2000. The Dreamcast was an amazing console, with bright and colorful games that left a major impact on me. So, when the time came for me to finally get my first tattoo, I took inspiration straight from the video game that changed my life. Skies of Arcadia tells the story of Vyse and his friend Aika, two air pirates who get caught up in a grand adventure when they recover a young woman from the clutches of the evil Valuan Empire. Her name is Fina and she is, for me, one of the most important fictional characters I’ve ever encountered. I could ramble about Skies for at least seven more articles, but to sum up: it is an earnestly heroic game with kind-hearted protagonists. Fina left a huge impression on me; she was feminine but bold, demure but perpetually critical of social structures. Her gimmick, jRPG trope as it is, is that she’s from a long lost civilization of mages called the Silvites—every civilization in Arcadia lives under a different color moon—and she is on a mysterious quest to stop the empire from awakening ancient weapons. Her character design hits all the soft notes of a white mage character, but the finer details of her look brim with intricate glyphs and evocative tattoos. I decided that I would get one of those tattoos, in this case the main one that features so prominently on her forehead. I asked my coworker Riley about tattoo artists and he referred me to someone passing through the city. After a lot of rescheduling, I met with them in a Brooklyn apartment and got my tattoo. I was so nervous, but luckily, the process ended up being pretty painless. It doesn’t really hurt much more than if someone was cutting you with a tiny paring knife. But like, really delicately. After about 45 minutes of the lightest discomfort, I had Fina’s glyph on my arm. It was, perhaps, a bit more squat that the design she has in the game, but it’s right there and it means a lot to me. I don’t believe that people get to choose the things that influence us or leave a mark on us, especially in the case of art. 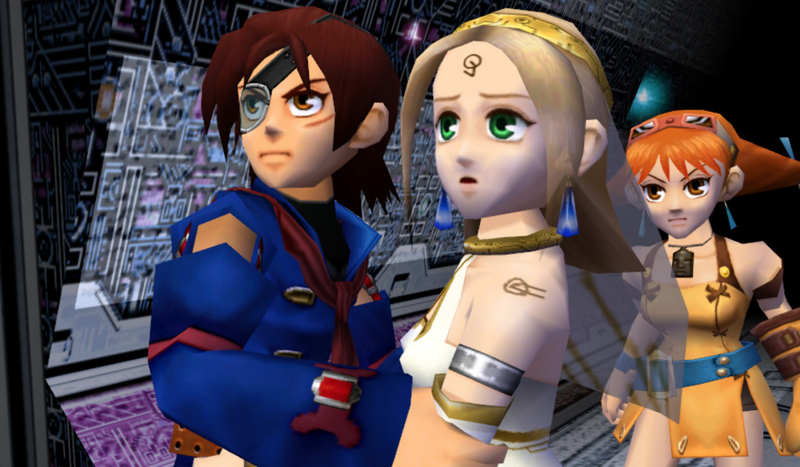 Skies of Arcadia is not a revelatory game; it doesn’t have the meta-commentary edge of Final Fantasy VII or bold experimentation of Chrono Cross. 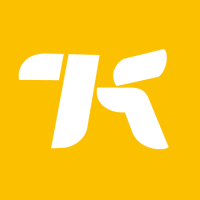 Instead, it reconstructed the jRPG format by treating its world with an infectious earnestness. It’s clash between the good air pirates and the evil Imperial admiral is played remarkably straight, only unraveling into something more complicated in the game’s final acts. Skies of Arcadia is a celebration, a grand and heroic story where good people prevail because that’s what supposed to happen. As a young pre-teen, growing into an ever more confused teenager, that was reassuring, and as an adult, I’ve held firmly to a belief that even if history is complicated, the broad view is one where injustice doesn’t last. That might sound sappy, but that’s what I mean about not getting to choose what influences us. Skies of Arcadia’s lessons are cloying but refreshingly simple: never give up, “impossible” is just a word, be audacious, speak up for the little guy. Those lessons still matter to me, and it mattered to me to see characters that embodied those virtues. Vyse and his crew never turned down a challenge, and they always respected the culture and views of whoever they encountered on their journey. And while life isn’t exactly a massive sailing adventure in the clouds, I can’t think of better guiding principles for navigating the short, strange journey we have here on Earth. So, yeah, like I said: pretty sappy, but that’s what I believe. I now have a video game tattoo, a nonsense glyph that few people will recognize. When I explain it to my bartender this weekend, I bet he’s gonna nod his head politely and that’s about it. But whenever I look at it, I’m going to be reminded to behave in accordance with what my childhood heroes taught me. Plus, I think it looks pretty cool, and since Fina has a few unique glyph tattoos, I plan to someday cover the rest of my arm with those as well.